Does the Prospect of « Nuclear Terrorism » in London, Paris or New York, Frighten You? 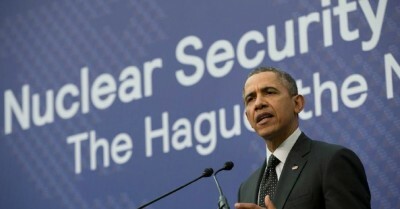 U.S. President Barack Obama calls nuclear terrorism « the single most important national security threat that we face ». In his first speech to the U.N. Security Council, President Obama said that « Just one nuclear weapon exploded in a city — be it New York or Moscow, Tokyo or Beijing, London or Paris — could kill hundreds of thousands of people ». It would « destabilize our security, our economies, and our very way of life ». Germany, Japan, Italy, Spain, Canada, Australia, Iran plus Saudi Arabia and 150+ other UN members. From the six 1st and 2nd Tier Nuclear Weapon States only one, Israel, has an undeclared nuclear arsenal and has refused to ratify the Non-Proliferation Treaty (NPT). In addition, its weapons of mass destruction are not subject to the report and inspection by the International Atomic Energy Agency, as are those of the other major nuclear powers. This also applies to the three 3rd Tier Nuclear states. And that is an untenable position for Europe to accept, as the first priority for the government of any independent nation state must always be its survival i.e. the security of its people and its borders. By tacitly accepting the status quo in regard to nuclear WMD, the EUROPEAN UNION abdicates its prime responsibility to ensure the security and maintenance of its borders and those of its 500m inhabitants in 28 member states. The longer that this situation is allowed to continue, the more profound will be the eventual threat and the greater will be the cost to counter it. The only answer is to apply economic pressure to ensure compliance with strict deadlines to those nuclear weapon states that currently enjoy unfettered access to the European Single Market but which refuse to abide by international agreements and conventions that have been enacted to prevent war and ensure peace.